Will I Have to Serve Jail Time for my DUI? The penalties for DUIs in California can be organized into four categories: jail time, fines, license suspension, and Ignition Interlock Devices (IIDs). Depending on the circumstances of the case, you may be punished with all four of these penalties, even after your first offense. Most cases, however, do not require any jail time served. This is especially true for first time offenders. While there are many possible penalties for DUIs in Southern California, remember that you can reduce your penalties if you educate yourself on what you may be facing in court, and get the best DUI attorney Los Angeles has to offer. There are trained professionals who are ready to help you avoid jail time after a DUI. With many emotions flying around, it is important as a defendant to stay calm and assess your options with clarity, focus, and the facts. It is also important to find the best possible DUI attorney Los Angeles has to help you avoid the harshest DUI penalties and get back to your life. This is the most common questions DUI attorneys get from clients. The answer is jail time for first time offenders is very unlikely if the defendant hires a competent DUI attorney. There are unusual circumstances that may result in jail time, such as your blood alcohol content at the time of arrest, any injuries to others, etc. but if it is your first time being arrested for DUI, chances are you won’t go to jail. Most sentences for first time offenders are suspension of license, a fine of up to $1,000, and occasionally an IID. While these penalties can disrupt your life, there’s no disruption like jail time for a DUI charge. First time offenders can expect up to six months in jail for DUI if extenuating circumstances demand it. 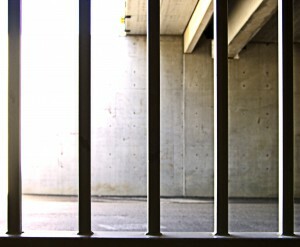 Most DUI cases do not require jail time, or a sentence much less than six months. There is a huge gap between possible penalties and common penalties. The best course of action after getting charged with a DUI is to hire the best legal professionals you can. There are many law firms in the Los Angeles area that specialize in DUI cases, and most boast that they get a large percentage of their clients out of jail time. Make sure you find the one that will listen to your case and the facts. Only the best DUI attorneys can fight for you to stay out of jail time after being charged with DUI. The most important thing you can do after you get charged with a DUI is to stay calm and let a DUI attorney review your case. Many people fear the worst after they are arrested and charged with a DUI in Los Angeles. This is one of the many counties in the country that are stepping up their enforcement of driving under the influence laws. Many individuals are pulled over before they cause any harm, and they are subsequently punished reasonably lightly. Seek the best DUI attorney Los Angeles has immediately to help get your case resolved as quickly as possible. The sooner you calm your fears and seek professional help, the less you will have to pay in legal fees, and the less likely it is that you will see the inside of a jail cell. Make the call sooner rather than later. Contact Jon Artz, experienced DUI attorney in Los Angeles today. This is one of the many counties in the country that are stepping up their enforcement of driving under the influence laws. Many individuals are pulled over before they cause any harm, and they are subsequently punished reasonably lightly.